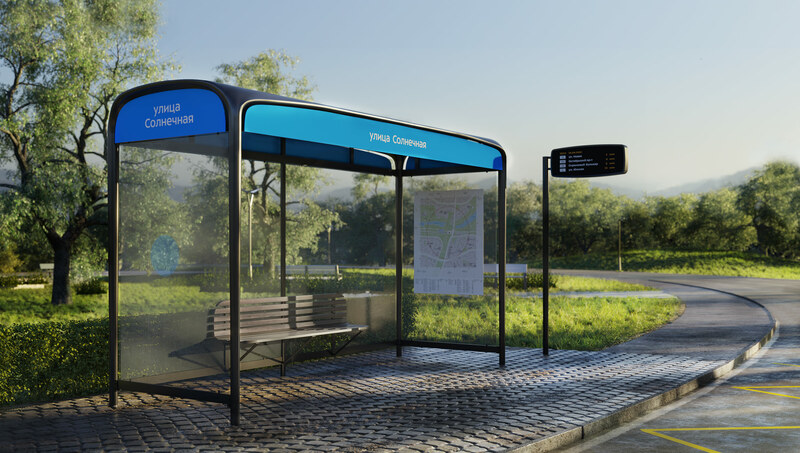 Task: to design a bus stop shelter. 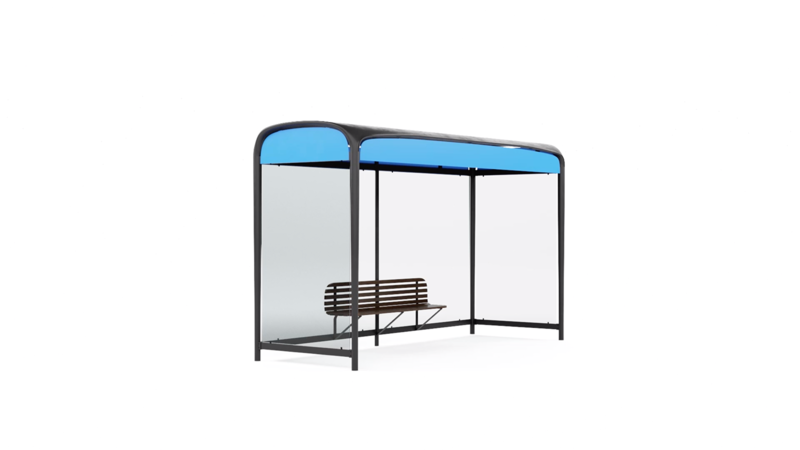 Ostanovkus-6 is designed as a look at the most classic bus stop shelter from the future. The smooth streamlined roof is elegantly supported by four tapering pillars. 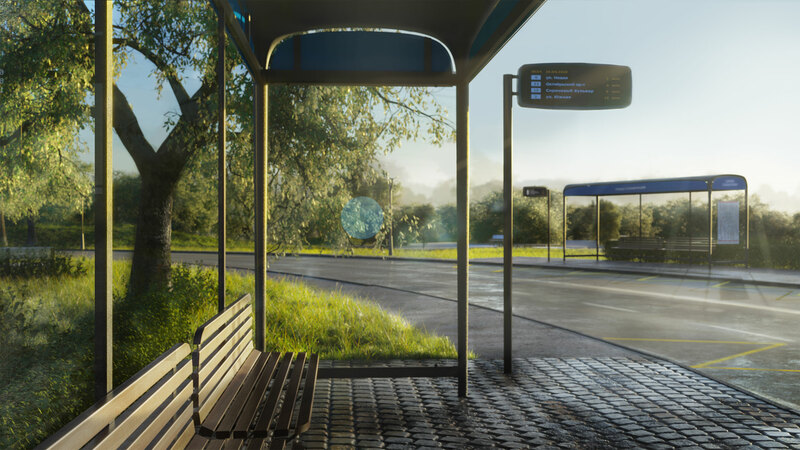 Passengers are protected from wind and rain from three sides with glass walls that make it easy to see if your bus is coming. The benches are made from wooden planks that repeat the bends of the shelter. Transit maps and advertising posters can be placed on the walls. Roof panels can be of any color, for example the color of the transit line the stop serves. The frontal panel contains the name of the stop while the information screen located on its own pillar informs passengers of the arrival times. The shelter is modular. Depending on the available space and needs it can be assembled as a small or long shelter with one or two benches.